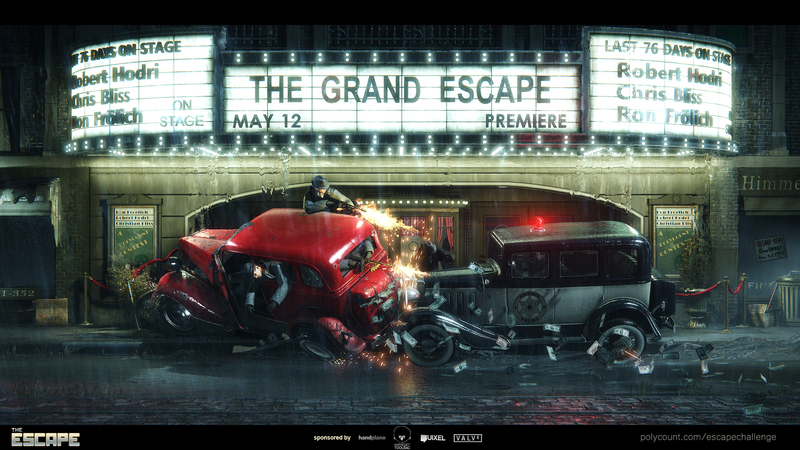 These are our submission shots for the escape contest at the game art forum polycount.com. The goal was to create a creative depiction of an escape. 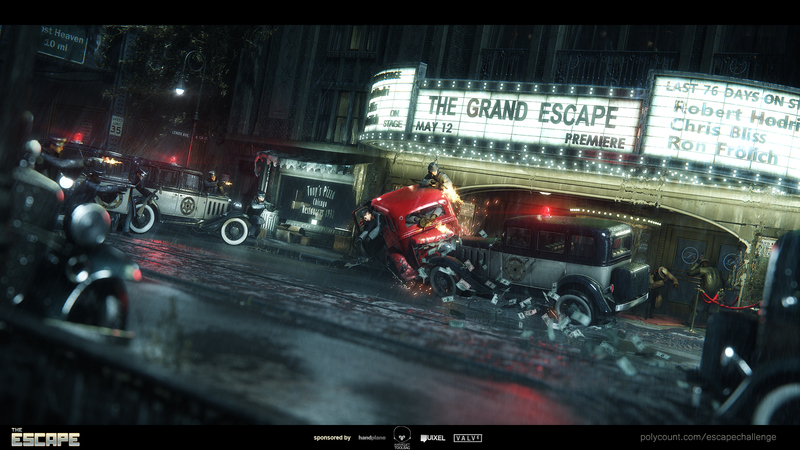 I worked together with Ron Frölich (hero car, characters, props) and Chris Bliss (police car, props, level dress up, framing, lighting) on this scene. 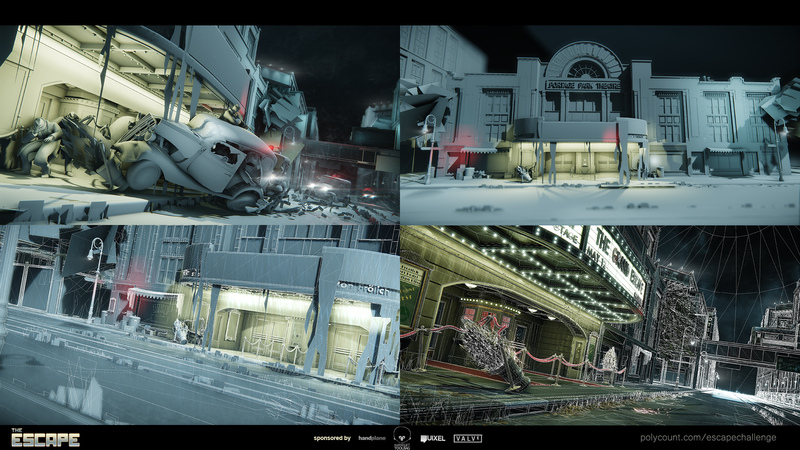 I was responsible for the environment art like the cinema, all buildings, the subway tracks, the street, vegetation and most of the smaller props. 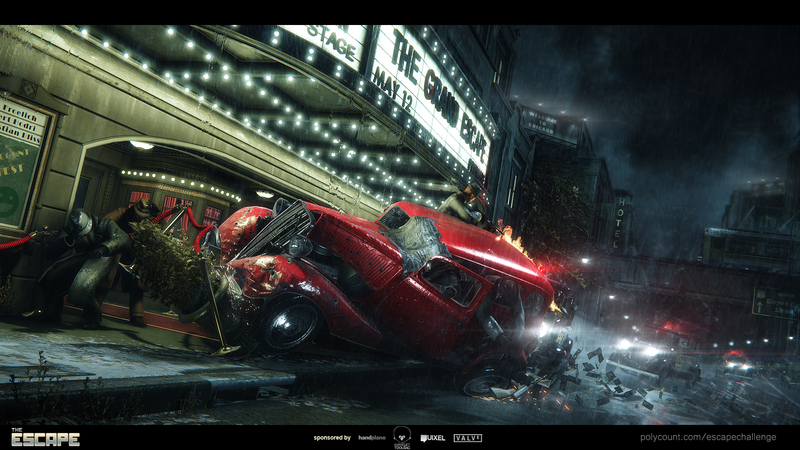 From a total number of 71 submissions, we won the 1st place with our entry of a car chase scene.